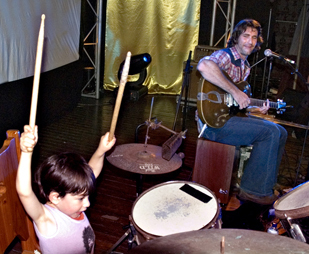 The Fatherhood Festival is a unique community and family event where we share stories, question our understanding of a fathers' role and celebrate being or having a father, with our family. 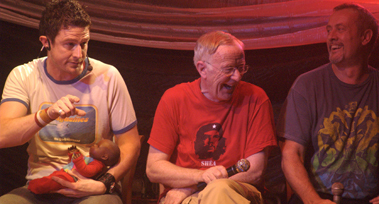 The Fatherhood Project founded the world's first Fatherhood Festival in 2004, a 3-day event held on Fathers' Day weekend in Bangalow NSW, hosted by Andrew Denton. 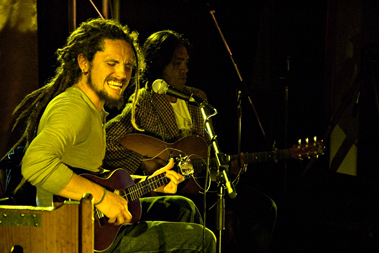 The Festival was an instant success, with well known Australian musicians John Butler, Jimmy Barnes and Pete Murray donating their time to support the event. 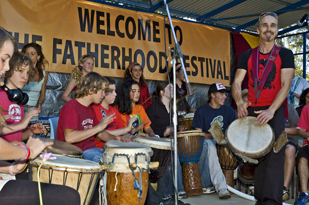 The Fatherhood Project organised annual Fatherhood Festivals in Bangalow NSW from 2004 to 2008, hosting over 6,000 families in 2008. 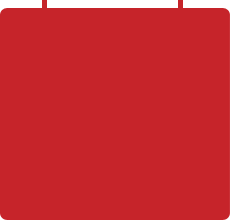 Fatherhood Festival events include professional seminars, contemporary music events, talks, comedy, health checks, family fitness, free kids rides and much more. We envisage festivals in every state of Australia, where fathers and families can gain insight, feel renewed, have fun and create stronger community links. 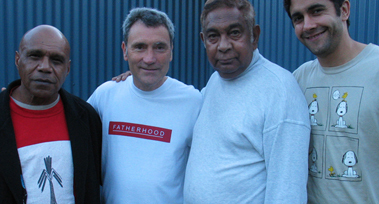 At least 5 other communities around Australia have emulated The Fatherhood Festival in their own communities and others have created unique 1-day events on Fathers Day based on the concept of The Fatherhood Festival. The Fatherhood Project is committed to encouraging and supporting other communities around Australia to develop their own Fatherhood Festival or Fathers Day event. Please contact us here if we can assist you or your organisation in organising your own event.